New. New, Excellent condition. Minor shelf wear. Fast shipping. Trade paperback (US). Glued binding. 368 p. Wsp Contemporary Classics. Audience: General/trade. New. 0671510126 Ships from Tennessee, usually the same or next day. New. 1471147436 Ships Within 24 Hours. Tracking Number available for all USA orders. Excellent Customer Service. Upto 15 Days 100% Money Back Gurantee. Try Our Fast! ! ! ! Shipping With Tracking Number. New in new dust jacket. New, Publisher overstock, may have small remainder mark. Excellent condition, never read, purchased from publisher as excess inventory. I ordered the books for gifts, and they were shipped and received in a blink of an eye, in very good conditions. A book about a Chinese farmer and his family and his path through life, includes some Chinese traditions but otherwise could be a universal story of life, its hardships and its joys. 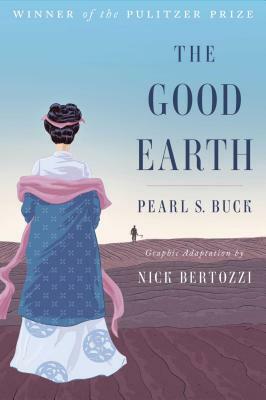 Pearl Buck was born in my state of West Virginia and I've read her books since I was a little girl. I have always wanted to go to China, and its because of Pearl Buck and her writings of China. This book was exceptionally written and easy to read. It was difficult to read, though as you delve into these characters and feel so much sympathy for them. It truly makes you realize how blessed you are, not to have to make the sacrifices that these people did. This book draws you in and makes you ask questions of yourself that may be hard to answer!